Newark posted a comprehensive win over Ashby in the first league game of the season at Kelham Road. A quick start gave a new-look Newark team, led by captain Will Britten, a 24-0 lead after 18 minutes. 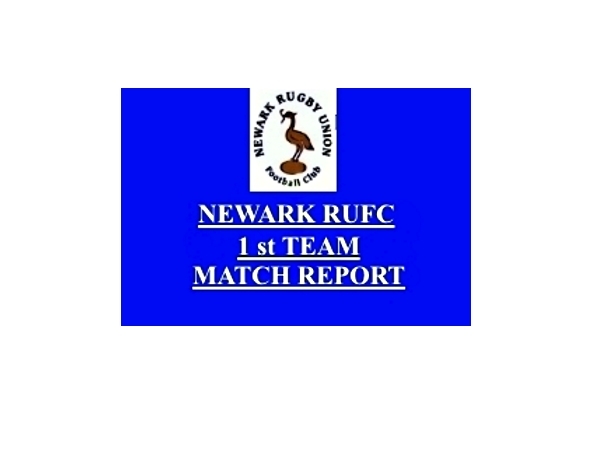 Newark scored five tries including two from scrum-half Findlay Tweedie plus one each from lock Will Ellison, full-back Robbie Hunter-Shaw and in the closing seconds by wing Billy Charles. Newark got off to a flying start with some new and returning faces in the line-up with Matt Cox, back from Melton, kicking a penalty in the first minute and scrum-half Tweedie going over for a try in the 6th minute. Cox converted for a 10-0 lead. Live-wire Tweedie went over for another after 14 minutes, again Cox converted. The industrious Ellison went over from short range after 18 minutes and with Cox converting gave the home side a 24-0 lead. The game became a bit scrappy and frenetic, typical of the first outing of the season. The forwards ran hard with James Price to the fore. Tom Crosby had to leave the field with a knock to the shoulder and was replaced by Jason Matthysz. Ashby came back into the game and worked space for their winger who coughed the ball up with the line begging. They soon after went over in the corner and pushed hard for another before half-time and were rewarded with a try under the posts which was converted to give an interval score of 24–12. Cox settled things down for Newark with two penalty goals before more concerted pressure by the Newark forwards made space to put Hunter-Shaw over. Cox converted. The pacey Tweedie just missed out on his hat trick after out stripping the Ashby defence following a chip through from Charles. The referee adjudged he had not made the touch down before the ball went dead. Ashby never gave in and were rewarded with a late converted try and pushed hard for a fourth but Newark defended strongly to deny them a losing bonus point. Big hits from Rory Williams and Matthysz kept them out. The game was well and truly put beyond Ashby when Charles went over to give a final score of 42–19 and a winning bonus point. Hunter-Shaw; Watts, Britten (capt), Birch, Charles; Cox, Tweedie; Coulam, Himsworth, Price, Ellison, Williams, Brogden, Crosby, Garland. Tries: Tweedie (2), Ellison, Hunter-Shaw, Charles. Matt Cox held off a strong challenge from Findlay Tweedie to be awarded the Skinny Brands man-of-the-match presented by Rob Hughes MD of InXpress who were match sponsors. Saturday (Sept 15): Dronfield v Newark, kick off 3pm.